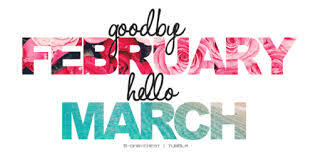 Happy New Month to you!!! I am particular about this month because its my BIRTH MONTH and i would love for everyday to be very special, from my daily activities to my thoughts to how i go about achieving my goals. I took some pictures on Sunday which i would be sharing with you soon but i felt i should drop my thoughts on the blog and i really do hope that someone out there would connect with what i feel. HOW DO I GIVE THE RIGHT ADVICE TO EVERYONE I MEET? I lost a dear friend because i could not connect with him on certain matters, which makes me realize that you can't always give the right advice, you also can't always be there for everyone because after a while things may get worse between both parties and you could also crash like an over used computer if you are not careful. For this month i would love to urge us all to LOOK OUT for ourselves, take yourself out,get a JULIE in your life ( Julie is that friend who is always smiling, who sees the good in you and encourages you always), experiment on new stuff , start saving no matter how small you have and above all FIND GOD.